Compass Bonaire organizes the best sailing and snorkeling trips on Bonaire. Relax and have a good time is what we do at Compass Bonaire. Almost everyone of our guests gave us an 5 star rating on Tripadvisor. 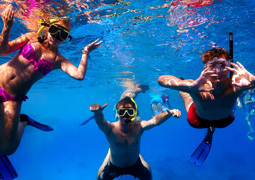 Join us on our excursions where we will show you the best snorkeling spots. Also you have a change of swimming with dolphins as we often see them next to our boat. Also you will see turtles, lots of fish species and corals during our guided snorkeling. Often we will visit Klein Bonaire and other snorkeling spots where you cant go without a boat. Because we are every day on the waters of Bonaire we know the best snorkeling locations. So if you want to experience a wonderful day on the water then join us on one of our excursions. You can contact us directly on 00599 – 786 7757 or visit the contact page to make an reservation. We would like to welcome you on board. 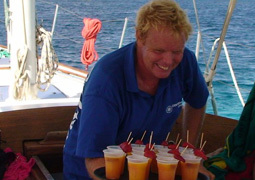 Compass Sailing Bonaire organizes relaxing sailing and snorkel tours. We sail the beautiful waters of Bonaire and snorkeling at Klein Bonaire, where the refreshing wind blows the sails. Your crew consists of Captain Wim and a cew member. Snorkel sets are available on board. Feel the sun, wind and enjoy the waters with all it’s colorful fauna. On board you will be pampered and can taste the fresh and deliciously made snacks, prepared by your well experienced chef. We will make your sail and snorkel tour an unforgettable experience where all your senses will be tickled. 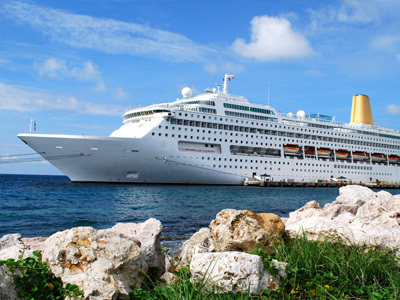 We offer snorkeling and sailing trips especially designed for our cruise ship passengers. Enjoy the Bonaire marine life! Relax onboard of our stylish sail boat! Ayo! – See you soon! "This excursion was the highlight of our trip. Everything was perfect, down to the crew, the snorkeling, the dinner and the sailboat! The crew was very attentive to all of our needs (rum punch) and guided us on our snorkeling. I would highly recommend this trip."